The number of Climaveneta units installed in new skyscrappers in Italy and worldwide is continuing to grow. 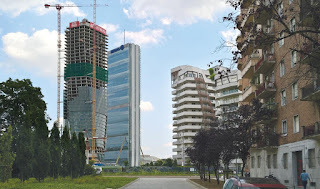 As a matter of fact, several Climaveneta units have just been installed at the Hadid Tower, designed by Zaha Hadid Architects, is under construction in the city centre of Milan. The Hadid Tower is 170 meters high and is composed of 44 floors. 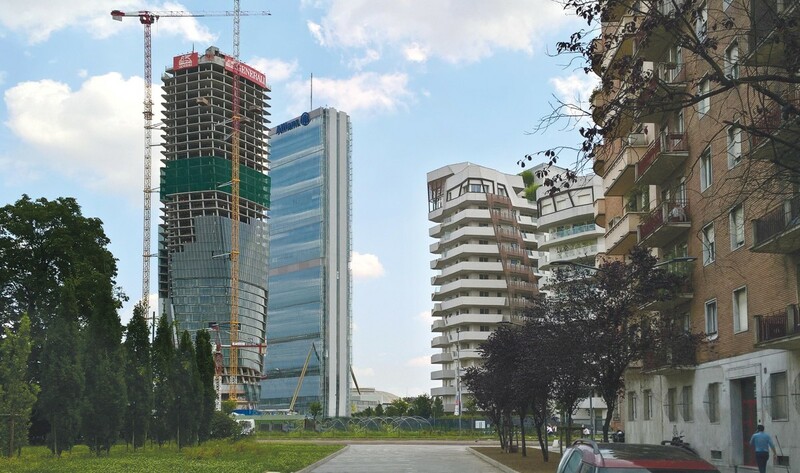 From 2018 it will house the headquarters of the Generali Group, owner of the whole Citylife area on which it stands. The total volume consists of a 39 floors of the office building, which is on top of a 4 floor, multifunctional podium, which will house a multi-screen cinema, some restaurants, and a commercial area. 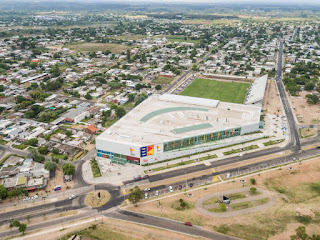 Both buildings are air conditioned by Climaveneta units: AHUs with a total air flow of 300,000 m3/h for the tower and a combination of AHUs and Roof Top units with a total air flow of 150,000 m3/h for the podium. A distinctive trait of this challenging project is that the AHUs installed in the tower have been supplied with a high efficiency double rotary enthalpy recovery and a double ventilation system, which guarantees that the units function without any interruption. In addition, since 4 of the 8 AHUs on the tower have just been installed on the 42nd floor, the installer decided to lift the components of these units up by a crane and then assemble the units directly, in this way he was able to manage the whole process in the best possible way. Upon unit assembly they will complete the construction of the floor. Another aspect of the HVAC system is that the 11 roof top units installed to air condition the multi-screen cinema in the podium have been equipped with a rotary enthalpy recovery. This feature allows for the recovery of both sensitive and latent heat from the air discharged in both summer and winter. The latent recovery allows dehumidification in the summer and humidification in the winter in a very efficient way. Efficiency, flexibility, and adaptability: these are the key words of this new and challenging Climaveneta project.